Welcome to this extraordinary, spacious 439 sqm three-wing residence sited on its 2,938 sqm fully landscaped section that offers a generous amount of space and residential privacy. The original architectural masterpiece offers three separate living spaces providing a plethora of possibilities for the prospective buyers. One wing consists of four big bedrooms, each with an en-suite with Italian tiled bathrooms. There is a magnificent lobby joining the wings of the house that could be used for functions with a larger number of guests or visitors. If needed it could be divided into smaller areas creating a sitting room with a fire place, a game or a media centre. Left wing encompasses a large, open plan family kitchen combined with living and dining areas, a master bedroom with an en-suite and walk-in wardrobe, a hallway with a small office, and the utility/laundry room with a separate toilet. There is a spacious two car garage with internal access that could be used as a storage room or a workshop. Another free standing garage has capacity for two additional cars. All living areas and bedrooms have outdoor access to the wrap around terrace. This is a seriously inviting estate, ideal choice for those who seek a high-quality guest accommodation business opportunity as the house is authorised for use as a Bed and Breakfast. It's also a perfect private home solution for larger families with small or adolescent children and many visiting relatives. 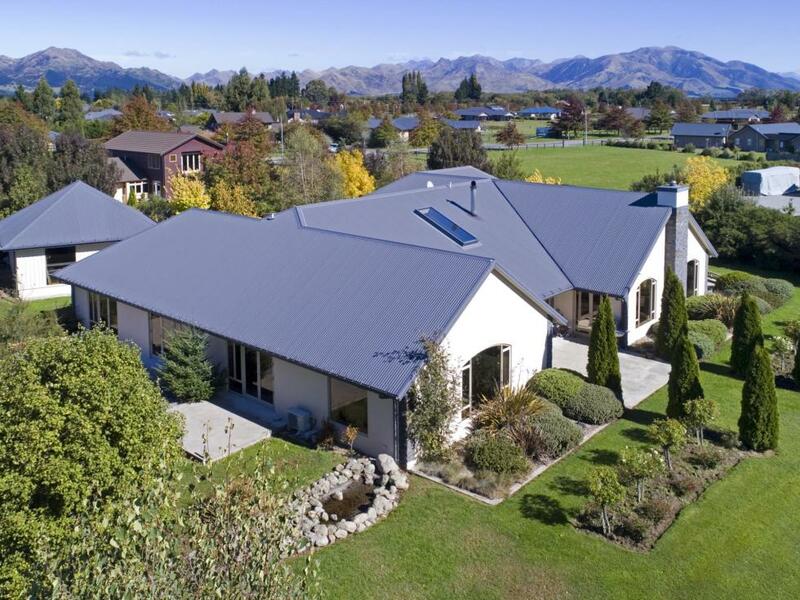 It could also be a great place for those looking for a lifestyle place combined with numerous health-enhancing options provided by Hanmer Springs Thermal Pools and Spa, cycle tracks, walkways and lifestyle. To fall in love with this home, call to view now.